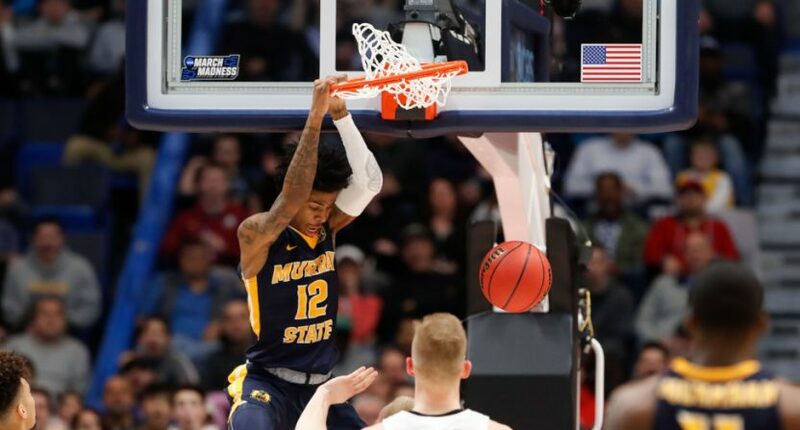 Ja Morant becomes the 8th player to record a triple-double in a NCAA tournament game. Draymond Green was the last player to record a triple-double in the NCAA tournament, doing so for Michigan State in 2012 in their first-round win over LIU Brooklyn. Green also recorded one the previous year in a first-round tournament loss to UCLA. We’ll see if Morant can join him in the multiple triple-double club when the Racers are in action next; they’ll take on fourth seed Florida State Saturday.